designers of the Pellwood stove. 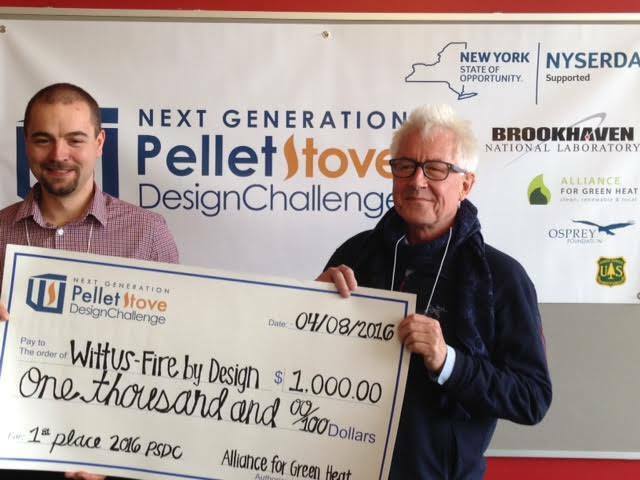 A German designed Wittus stove that is distributed by a New York company, and a stove made by Seraph Industries, the smallest U.S. pellet stove manufacture, won first and second place in the 2016 Pellet Stove Design Challenge. 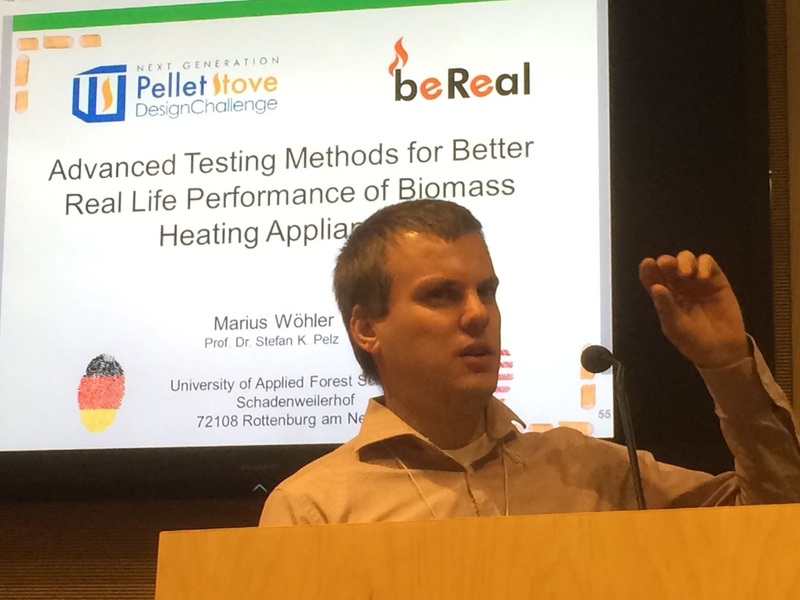 This was the third Stove Design Challenge promoting innovation in wood and pellet heating to help consumers reduce fossil heating fuels with appliances that burn far cleaner and more efficiently than average stoves. 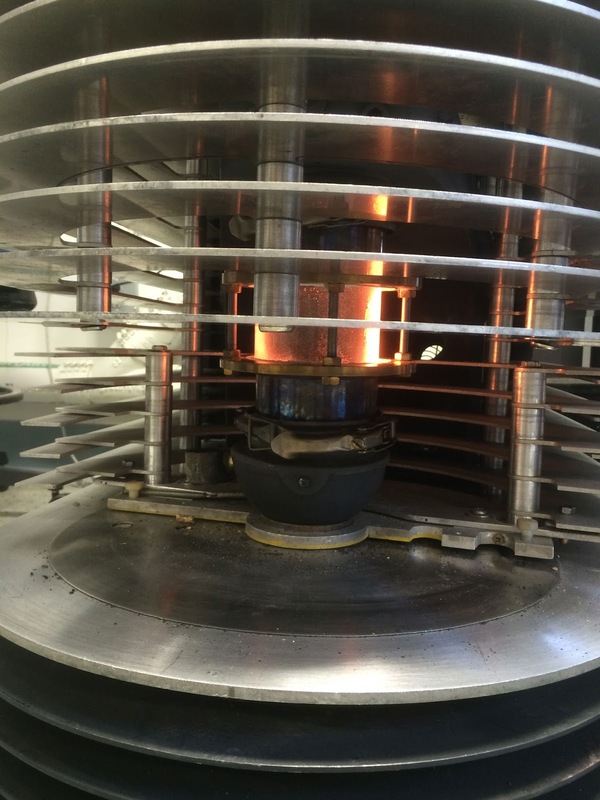 The Wittus Pellwood stove is an extremely innovative prototype that can burn both pellets and cordwood, bringing advanced technology from basement furnaces up into the living room to achieve very low emissions of less than half a gram per hour. The second place stove, Seraph’s Phoenix F25i, is nearly ready for certification testing. It also achieved a very clean burn, consistently under 1 g/hr. and has innovative features to help and encourage the consumer to keep the stove operating well. Other stoves featured extremely innovative designs, including the futuristic looking, radiant heat Torrefire stove with a glass burn pot. In addition, the gravity fed Vibrastove, with a burn plate instead of pot, used only one small fan and made its own electricity for off-grid use. The Department of Energy’s Brookhaven National Lab hosted the event. 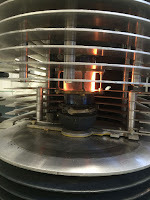 The Lab conducted extensive testing of the competition stoves and will provide valuable data for the EPA, industry and other stakeholders about the strengths and weaknesses of testing protocols. Each stove was tested three times, to see if the stove operated consistently or whether the testing protocol may lead to variable results. Pellet stoves are widely seen as a modern, cleaner, and a user-friendlier alternative to cord wood stoves. More states and programs are starting to give larger rebates and incentives for pellet stoves than cord wood stoves, and are beginning to focus on the stricter emission standards that will take effect in 2020. This Design Challenge showed that the 2020 standards for particulate matter would not be difficult for pellet stoves to attain, but that many pellet stoves have mediocre efficiencies. The Pellet Stove Design Challenge is a partnership between various organizations and agencies that are interested in exploring the potential of technology to meet a growing demand for renewable energy. The principal funder, the New York State Energy Research and Development Authority (NYSERDA), runs Renewable Heat New York, a multi-layered incentive program for pellet heating equipment at the residential, commercial and industrial scale. 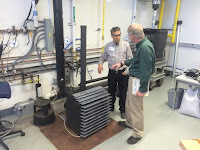 Other partners include the United States Forest Service, Brookhaven National Lab and state agencies from Massachusetts and Washington, along with leading experts from Clarkson University, the Masonry Heater Association and the Osprey Foundation. 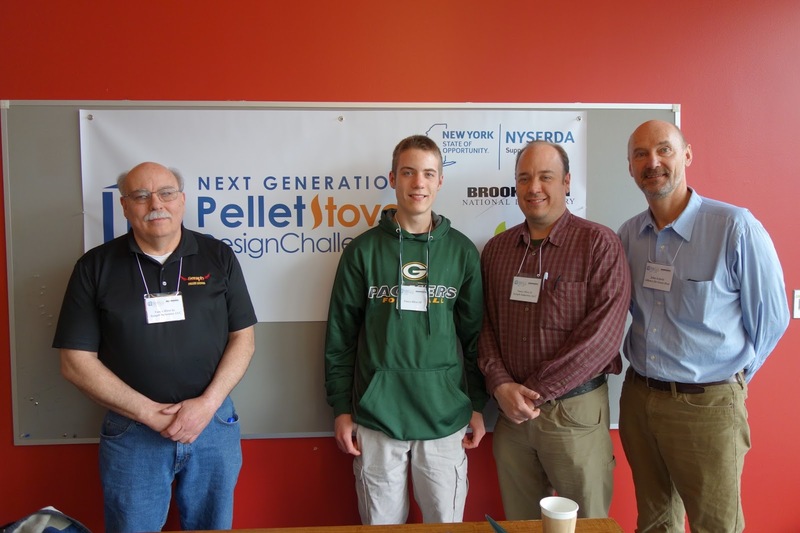 The Design Challenge brought nearly a hundred students, stove builders, backyard inventors, academics, regulators and experts together to discuss and debate the state of the pellet stove technology, indoor and outdoor air quality issues and deployment strategies. Of particular note were three university teams that are designing stoves from engineering departments at SUNY Buffalo, SUNY Stony Brook and the University of Maryland. The speakers included Adam Baumgart-Getz from the EPA, Marius Wohler from the European BeReal initiative, nanoparticle expert Dr. Barbara Panessa-Warren and scores of others. Presentation abstracts are available along with most of the powerpoint presentations. The event coordinator, the Alliance for Green Heat, is exploring a return to advanced cord wood stove technology and using the National Mall in Washington DC again as a venue in 2017. Stakeholders are invited to contact info@forgreenheat.org with input about the next Design Challenge. The Alliance for Green Heat promotes modern wood and pellet heating systems as a low-carbon, sustainable and affordable energy solution. The Alliance works to advance stove innovation through technology competitions and advises state and federal agencies on improving programs that involve wood and pellet heating. Founded in 2009, the Alliance is an independent non-profit organization based in Takoma Park Maryland. Kudos to Alliance for Green Heat and all of this year's participants for pushing the envelope to design more efficient and cleaner burning wood stoves!